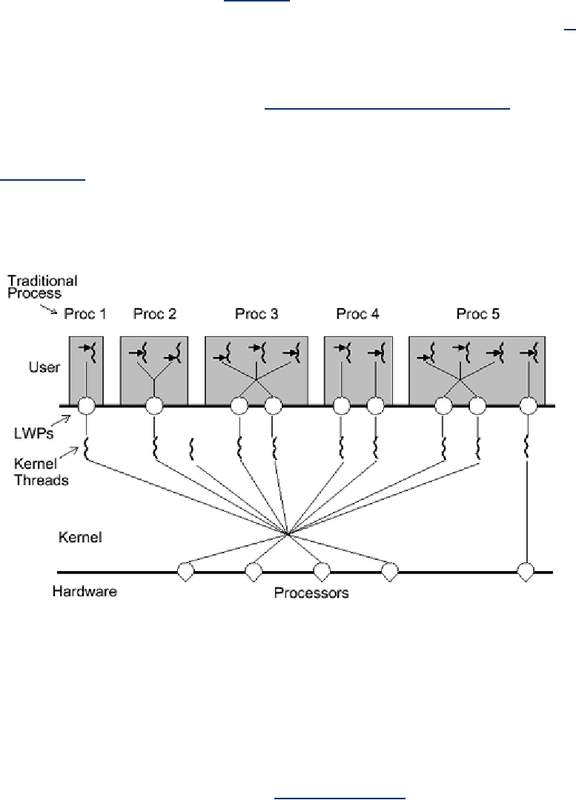 regarding the binding of threads to LWPs (see Different Models of Kernel Scheduling). refer to LWPs (or logical equivalent). We will not deal with kernel threads at all. the program proceeds. If a blocking system call takes a long time, the program just waits for it.